A U.S. CH-53E transport helicopter made an emergency landing near the military's training area in the northern part of Okinawa's main island on Wednesday due to fire that broke out when the chopper was in the sky, the U.S. Marines said. 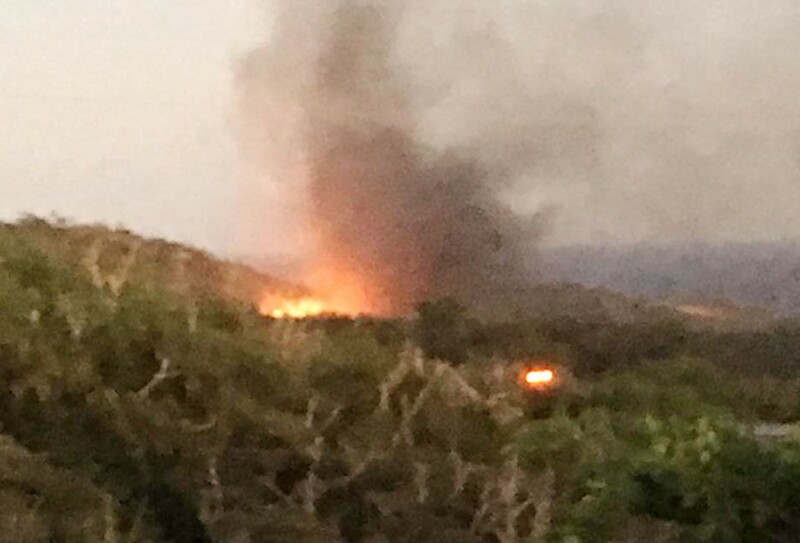 The chopper belonging to Marine Corps Air Station Futenma in the southern Japan prefecture burst into flames on grazing land near the Northern Training Area after making the landing at around 5:20 p.m., reigniting safety concerns about the U.S. military presence in the prefecture. The site in Higashi village was only several hundred meters away from a residential area. 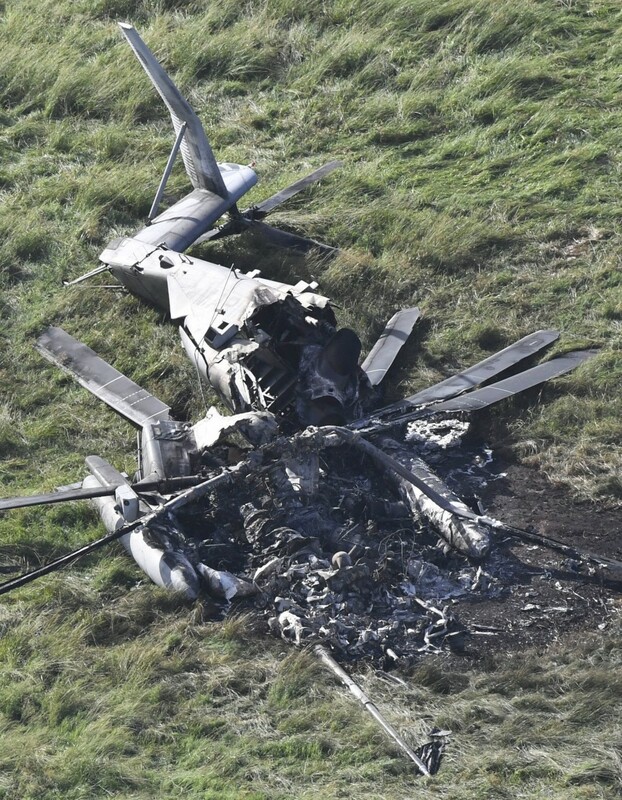 None of the helicopter's seven crew members or local residents were injured in the incident, Defense Minister Itsunori Onodera told reporters. Onodera said he urged Lt. Gen. Lawrence Nicholson, the top commander of U.S. forces in Okinawa, to provide detailed information about the incident and take measures to prevent a recurrence. Prime Minister Shinzo Abe said on a TV program that the incident was "truly regrettable." "We will be in trouble unless (the U.S. military) gives the highest priority to safety," Abe said. The incident fueled safety concerns in Okinawa, which hosts the bulk of U.S. military facilities in Japan, as it follows a number of crashes involving U.S. military aircraft, including a crash-landing of an Osprey aircraft last December off the city of Nago and the fatal crash of an HH-60 helicopter on the premises of Camp Hansen in Ginoza village in 2013. In 2004, a CH-53D helicopter crashed at a university in Ginowan city, injuring three crew members. "I have a strong feeling of indignation," Okinawa Gov. Takeshi Onaga said at a press conference in Naha, Okinawa, urging the U.S. military to ground helicopters of the same type until the cause of the incident is determined. The local fire department received an emergency phone call from a nearby resident who reported that a U.S. military aircraft had crashed and black smoke was visible. The U.S. military sent an aircraft to battle the fire, which lasted about three hours. The chopper's propeller was squashed and its steel frame was visible. "I think such accidents will repeat as long as a U.S. military base exists here. I want the base to be removed as soon as possible," said 39-year-old Yuri Soma, who lives in Nago. The Northern Training Area, straddling the villages of Higashi and Kunigami, has landing zones for helicopters, which are shared by the U.S. military's Osprey tilt-rotor aircraft. Around 2,500 takeoffs and landings by Osprey aircraft are planned per year there, according to the U.S. military.